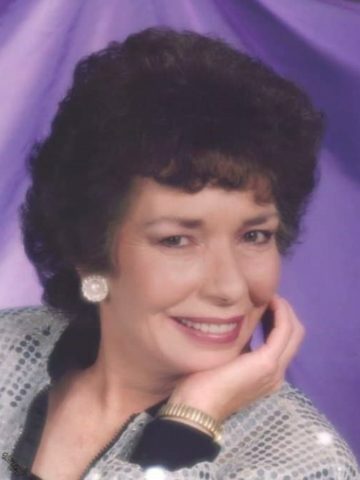 Linda Laura (Pope) Selepack Heery, 77, of Nashville, died March 13, 2019 at her home due to complications from lung cancer. Linda was born in Nashville, September 6, 1941. She had formerly been a resident of Rutherford County. She worked as an accountant, insurance agent and business owner. She enjoyed gardening, flowers and herbalist studies. She is survived by her current husband, Francis L Heery, Jr.; her two children, Bryan Scott Selepack of Pinewood, TN and Carol Ann Selepack-Rector of Houston, TX, 6 grandchildren and 8 great-grandchildren, and her siblings, Alvin Hershal and Naomi Pope, John Howard and Charlotte Pope, Jimmy Cecil and Elaine Pope all of Smyrna, Billy Foster and Teresa Pope of Mt. Juliet and Judy Kay (Pope) Seese and Doc Pope Seese of Davidsville, PA. Linda was also preceded in death by another sister, Bessie Marie Richie.. A diagnosis of stage 4 lung cancer in January 2019 set the pace for the rapid decline in her health. Her children, grandchildren and husband were by her side through it all. A memorial service will be held in April. Linda will be placed at the gravesite of her parents the late Hershel W. Pope and Lillian Birdett Eads Pope in accordance with her wishes. My deepest of heartfelt condolences to the family and, friends. Carol you will remain in my prayers, GOD bless you and, keep you. Linda was a beautiful lady who cared so much for other people and watched out for them all. I only knew her briefly but she was a shining light of love to everyone that I saw her meet. May peace be with the entire family in your loss but I am sure that God has a new angel and that she is enjoying the beauty of Heaven and that she is watching over all her family and friends. God’s blessings to and for you all.